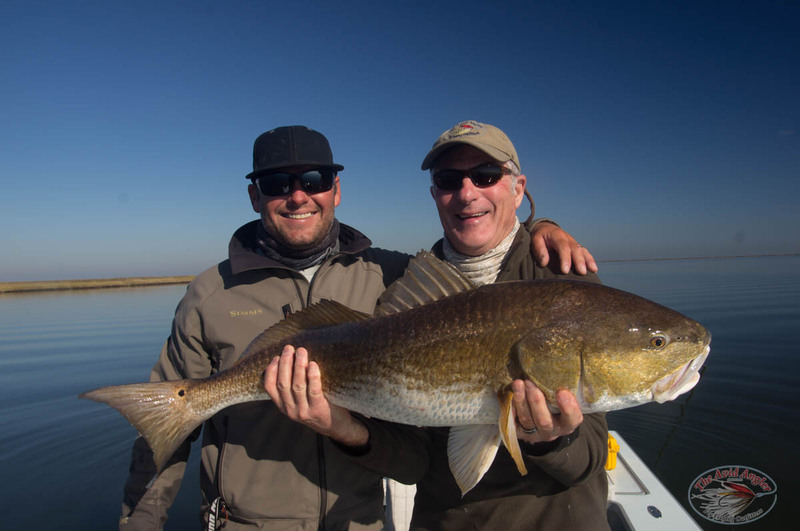 LOUISIANA REDFISH FLY FISHING - inshore fishing at its finest! Price: $2950 - 4 days guided fishing, and 5 nights lodging. Deposit: 1/2 down, holds your spot. 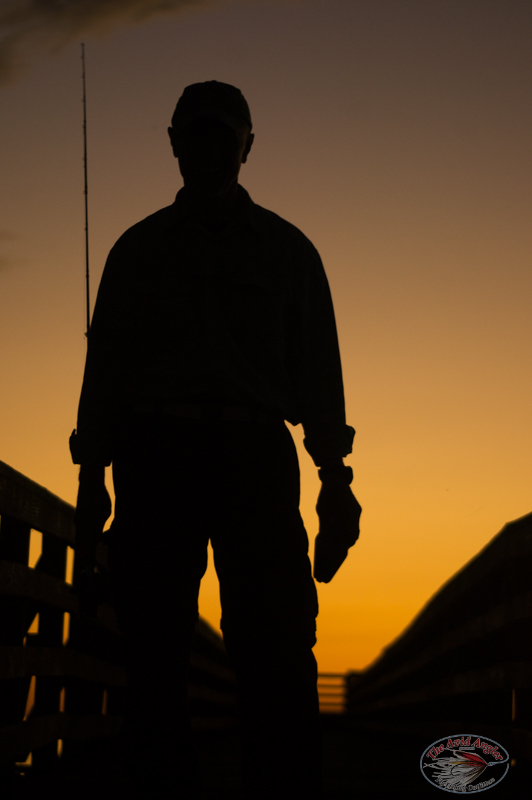 < br /> Includes: Lodging, guided fishing, breakfast and lunch. Transportation from New Orleans airport (MSY) can be provided. Demo rods and reels available for. Dinner: At night we will travel around NOLA and enjoy the local cuisine recommended by our host and guides. On this adventure, you will explore the marsh of the Mississippi River which extends outward and through the city of New Orleans, Louisiana. 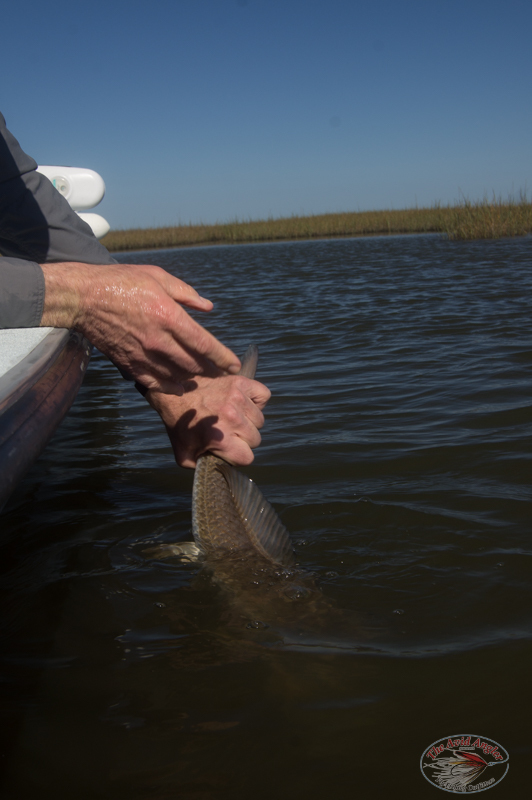 You will weave the intricate bayous and natural channels of the marsh in comfortable flats skiffs. Redfish, drum, alligator gar and jacks regularly swim this network to feed. Porpoise have the same idea and are feeding on the abundant crab, mullet and other baitfish populations. The marsh is full of life and the fishing is solid October through March. 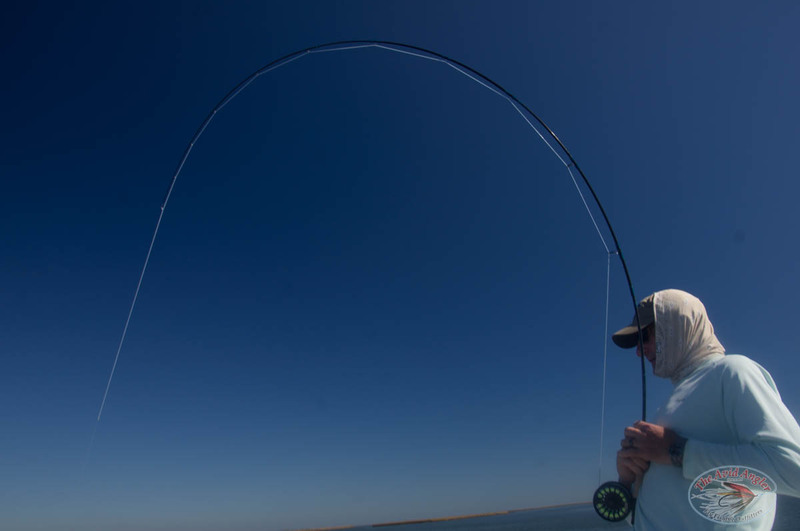 We target these tailing or cruising redfish with crab and bait fish imitations on 8-10 weight rods. The fish can grow to substantial size, with some breaking the 40 pound mark! The captains see these fish daily, but they don't often get landed or even approached. For the angler to see these elusive larger fish, you need a keen eye that will develop as you become comfortable with the guide, fishery and equipment. Call or email for more details. info@avidangler.com. 206-362-4030 PST. We open everyday at 10am PST. On our hosted trips, we arrange comfortable lodging that embodies the need for rest and relaxation when not battling fish on the fly! Join us on one of our hosted trips and get a chance to fish with the great staff of the The Avid Angler. We hire cordial guides and work hard to keep our guests comfortable and provide a memorable experience. For an itinerary or more information, please contact us at info@avidangler.com or call 206-362-4030 for more details. November 2015 - What an awesome trip! 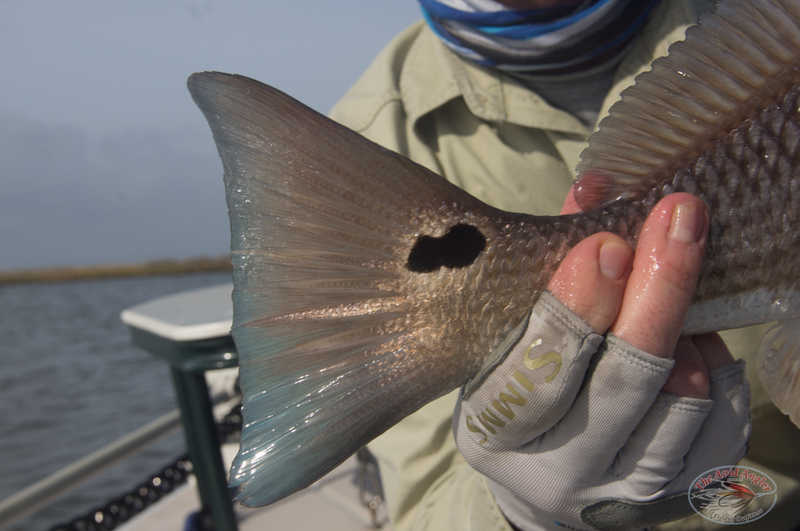 The redfish in the fall are much different animals than the winter and spring. We were finding fish tucked into banks as always, but good numbers of travelling and feeding fish. One of the coolest sights was a group of bull redfish working together to feed on large gulf shrimp. They were in 4-8 feet of water boiling on the surface after these shrimp. Have you ever seen a shrimp skip? Neither had we! What an incredible sight watching colossal shrimp launching themselves to avoid the crushing mouth of a redfish. The largest fish of the trip was around 27 pounds. This leaves Avid Angler's hosted trip record intact with a 34 pound bull from our February trip in 2014. February 2014 - Winter in the marsh is often some of the best fishing of the year. 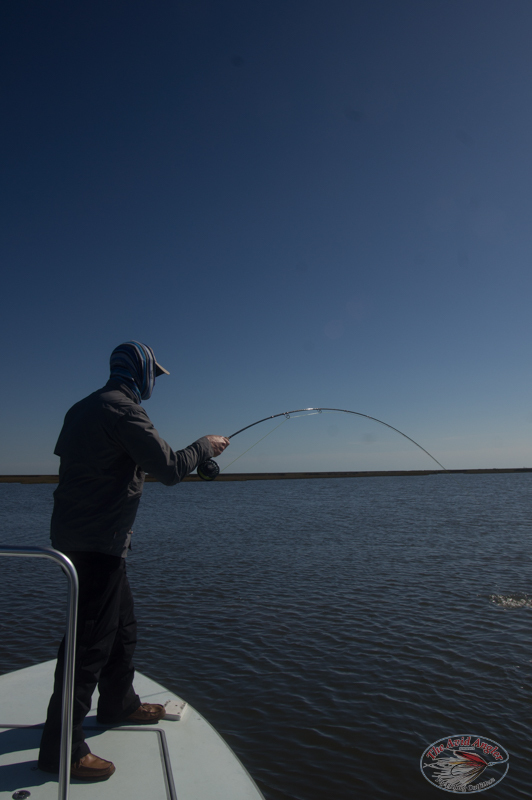 The Louisiana redfish, or red drum, fight well in the cold water. When temperatures plummet some of the biggest fish are sighted and hooked. The winter of 2014 has proven to be formidable one. Water temperatures have been swinging from the low forties to the low fifties from week to week, and sometimes day to day! When water temperatures are increasing, the bull reds seem to be more active and attack flies.